How do I Claim Compensation for a Shigella Holiday Illness? Shigellosis is a form of dysentery which can cause serious illness to its victims. This highly infectious disease caused by the shigella germ is transmitted by food and water contamination, by direct contact, and by flies. This holiday bug which is linked to travel thrives in crowded hotels abroad and is a common cause of food poisoning among UK holidaymakers. Victims of Shigellosis may be able to rely on the 1992 Package Travel Regulations to make a claim for compensation from their tour operator. What is the Shigella Bug? Shigella is a rod-shaped pathogen that grows rapidly in contaminated soil or water. It has three forms: Flexneri, Boydii, and Sonnei. Shigella Sonnei is commonly contracted by travellers to Egypt, Turkey and Cuba. Only a very small quantity of the bacteria is enough to cause food poisoning because shigella is highly infectious with a very low infective dose. Travellers should note only 100 bacteria or less can produce disease from contaminated food or water. 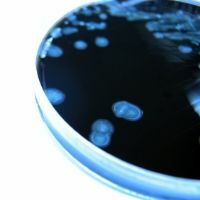 How will I know if I have shigella-related food poisoning? Infection incubates between 12 and 24 hours after you have consumed the contaminated food although symptoms can appear sooner. Dehydration should be treated with oral rehydration techniques. Shigella is eradicated by antibiotics such as Trimethoprim, Ampicillin and Amoxicillin. There could be added problems including seizures and rectal bleeding. Reactive arthritis can also be experienced as a secondary problem, which can last months. In rare cases this condition can result in chronic arthritis in the longer term, affecting the joints. Holidaymakers returning from developing tourist destinations with severe diarrhoea are advised to speak to a doctor. Shigellosis is a serious disease which can be fatal for children, the elderly and those with compromised immune systems. Can holiday companies avoid food poisoning? Food poisoning from shigella can be avoided if hotels implement rigorous food safety regimes. Tour companies and hoteliers should co-operate to keep food as edible and hygienic as possible and food handlers who are unwell should not be permitted kitchen work. Clean hands are vital, since infection can be transferred without realising it, by consuming food after contacting something that is infected. Outbreaks of Shigellosis occur when food becomes contaminated with human faeces. A typical situation would arise where an infected person with poor hygiene handles cooked food. Education is the best route to preventing such outbreaks and reducing the risk of illness. Yet even though there is no real excuse for it, the CDC reports that thousands of tourists are infected each year. How do I claim compensation for Shigellosis? As experts in holiday illness claims, Simpson Millar LLP can take on shigella and other food poisoning cases against those holiday companies who sell package holidays. If your holiday is a regulated package we can claim compensation for you pursuant to the 1992 Package Travel Regulations. Check out our Holiday Hotel Watch blog which shows you the hotels we're keeping a close eye on.